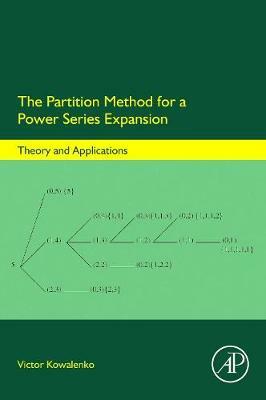 The Partition Method for a Power Series Expansion: Theory and Applications explores how the method known as 'the partition method for a power series expansion', which was developed by the author, can be applied to a host of previously intractable problems in mathematics and physics. In particular, this book describes how the method can be used to determine the Bernoulli, cosecant, and reciprocal logarithm numbers, which appear as the coefficients of the resulting power series expansions, then also extending the method to more complicated situations where the coefficients become polynomials or mathematical functions. From these examples, a general theory for the method is presented, which enables a programming methodology to be established. Finally, the programming techniques of previous chapters are used to derive power series expansions for complex generating functions arising in the theory of partitions and in lattice models of statistical mechanics.